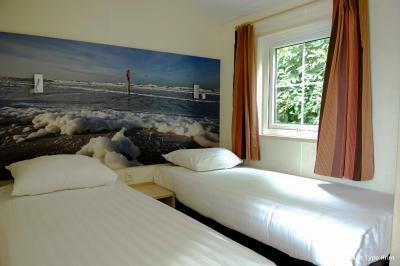 Lock in a great price for Vakantiepark De Krim Texel – rated 8.4 by recent guests! 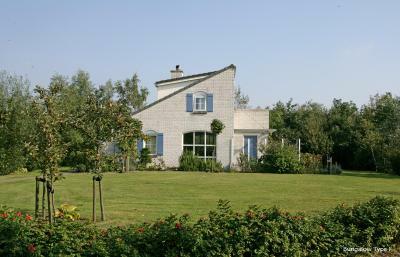 We loved the privacy of our house and also the big garden with the nice view over the dunes. The beds were super-comfortable, and the house was nicely decorated and had enough space for a family of 5 with 3 teenagers. The cabin was located in a green area. We liked the breakfast that was served to our cabin in the morning. A plus that there was a kettle and a fridge. Nice and quiet area. Close to reception, little supermarket and restaurants on site. 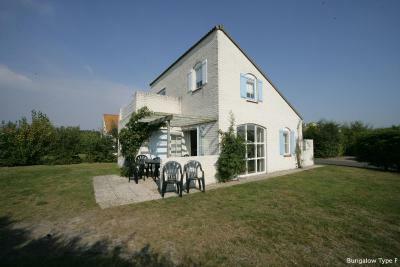 - 2 bedroom chalet: it was a good size for us: 2 adults + 1 baby. The baby had her own room (as the crib wouldn't fit in our room) but that was fine. 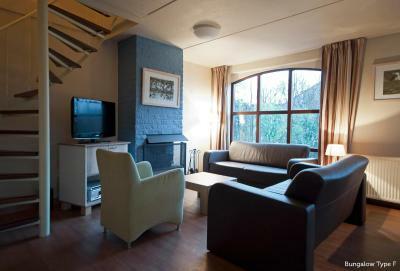 - The chalet was spacious and the kitchen facilities were adequate. Great for families. Lots of activities and very comfortable lodging on a beautiful island. 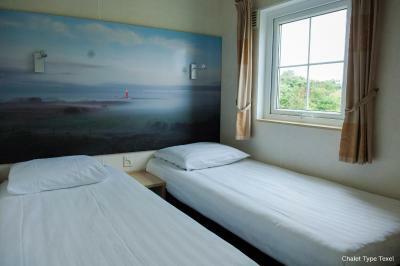 Too expensive, the beds are not comfortable no towels, no services . 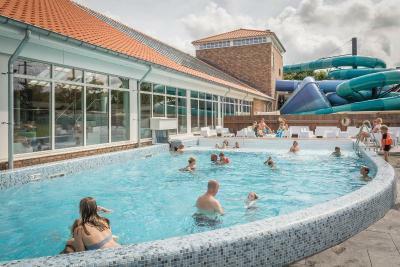 I love Texel as a destination for families as well as the swimming pool at the park. My daughter loves going there. Great idea with breakfast in chalet! We really like it. Dislike that we have it in different time, one day - at 8-30, next day at 9-00, then in 8-15. Room number was clean and nice and nice little garden. It was nice to drink a cup of coffee in the morning there. We will recommend this place to our friends 100%. 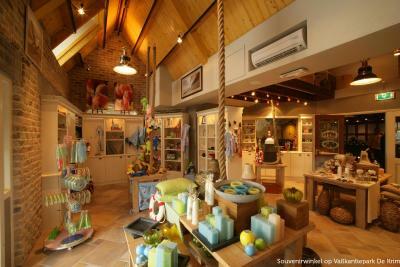 Lot of activities for kids, indoor and outdoor as well as swimming pool. 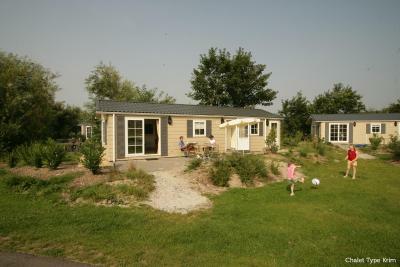 Whole Texel is nice place to be with lot of possibilities to spend day with family.. horse riding, trekking, beaches, forests, farms with activities for kids... Bungalows were decent, similar to other parks of this kind in Netherlands. 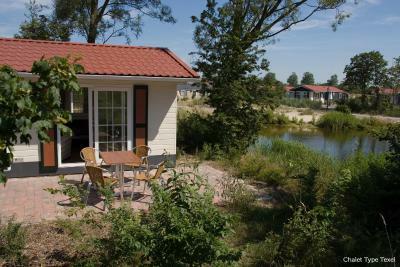 Wonderful vakantie park located in a perfect setting. 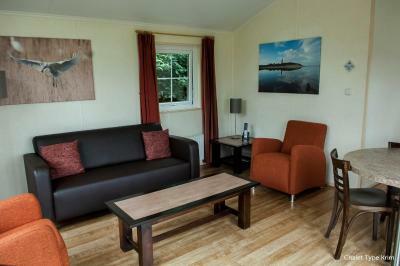 The bungalows are well equipped with a large private garden. The swimming -pool both indoor ans outdoor was fatastic. All very clean and comfortable. All the facilities were efficient and worked really well. Personnel friendly and helpful. We will go back! 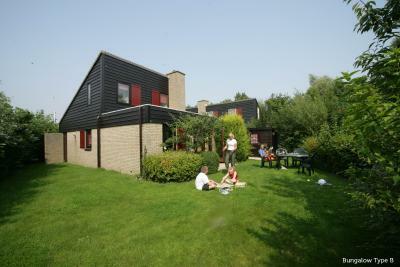 One of our top picks in De Cocksdorp.This holiday park offers accommodations with free Wi-Fi 0.6 mi from De Cocksdorp. 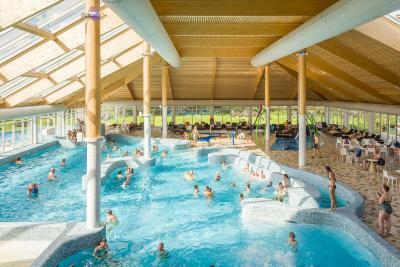 The park includes 3 restaurants, a supermarket and both indoor and outdoor swimming pools with water slides. 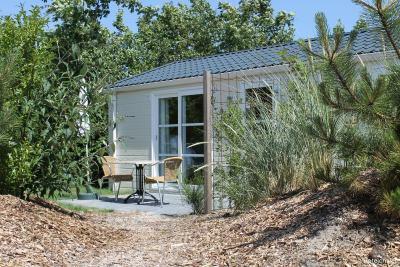 All of the bungalows and chalets at Vakantiepark De Krim Texel have a modern interior with a private terrace and a fully-equipped kitchen including a dishwasher. Extras include bed linen. 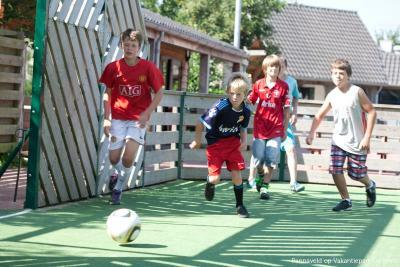 Kids can enjoy the indoor and outdoor playgrounds as well as the entertainment programs during the school holidays. 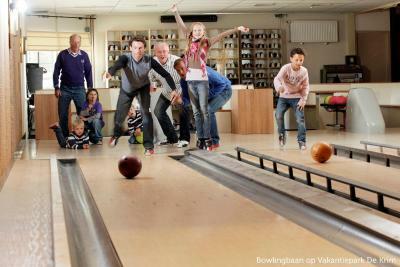 The park also features bowling facilities indoor minigolf, indoor laser tag arena and bicycle rental. 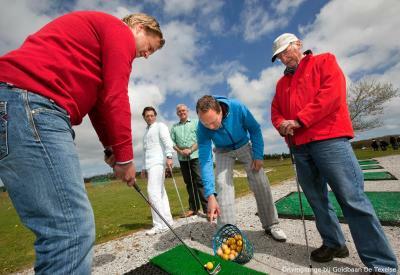 De Krim Texel is located next to Golf Course De Texelse. You can reach the ferry service to the mainland within a 20 to 30-minute car ride. 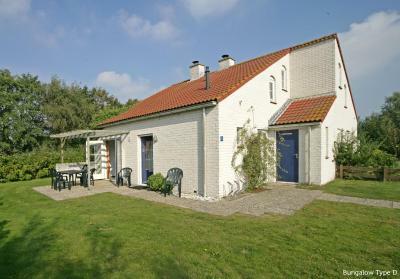 When would you like to stay at Vakantiepark De Krim Texel? 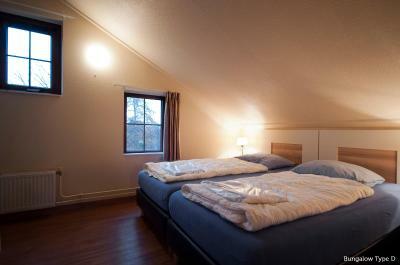 The chalet has 2 bedrooms and 2 bathrooms and includes patio furniture. It includes a living room with an open-plan kitchen. It opens onto a private terrace. 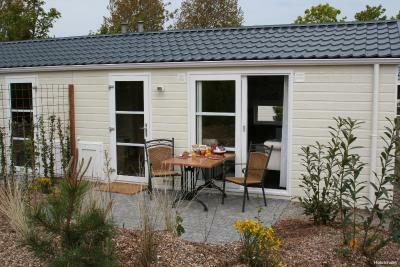 The chalets have 2 bedrooms with a bathroom. 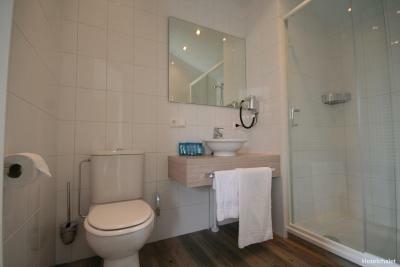 It also has a private sauna and modern facilities, including patio furniture. There is a living room with an open-plan kitchen. It opens onto a private terrace. Spacious bungalow with 3 bedrooms, a bathroom and a living room with an open-plan kitchen. It has large grounds with terrace. Please note that the photos are an impression of the accommodations, the layout and interior per unit might slightly differ. 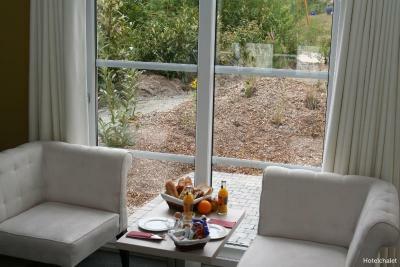 This chalet includes a daily cleaning service, and breakfast is served in the chalet. It also has a private terrace. Please note that pets are not allowed in this chalet. This bungalow features a spacious garden and patio. The living/dining area includes a TV and a fireplace. 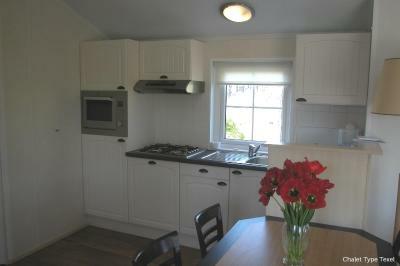 The open plan kitchen comes with a dishwasher and microwave. This bungalow features a sauna, roof terrace and garden. The living/dining area includes a TV and a fireplace. 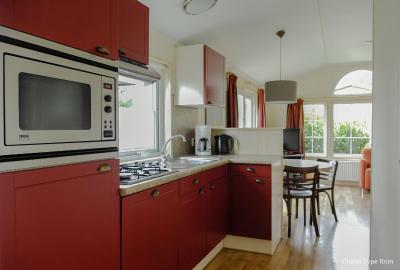 The open plan kitchen comes with a dishwasher and microwave. 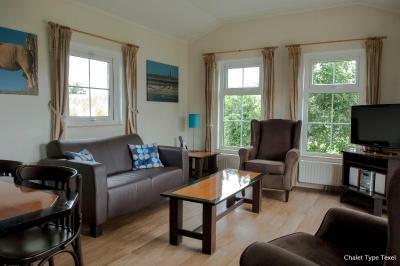 This bungalow features a spacious garden, terrace and free WiFi. 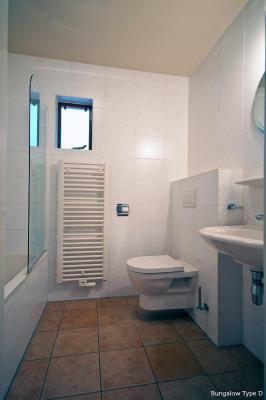 There are 2 bathrooms available in the unit. Each bungalow is decorated differently. 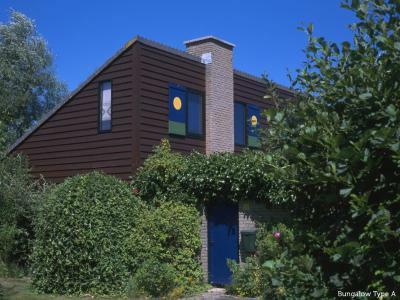 This child-friendly Family Bungalow suits up to 8 guests and features views over the dunes. 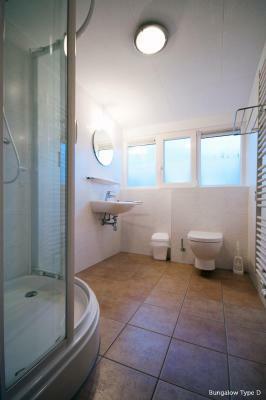 It has 4 bedrooms, children's playground equipment and a patio with a windscreen. 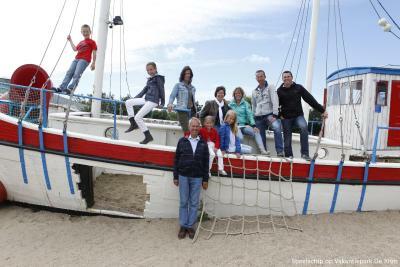 A family holiday, weekend or other types of holiday on Texel? 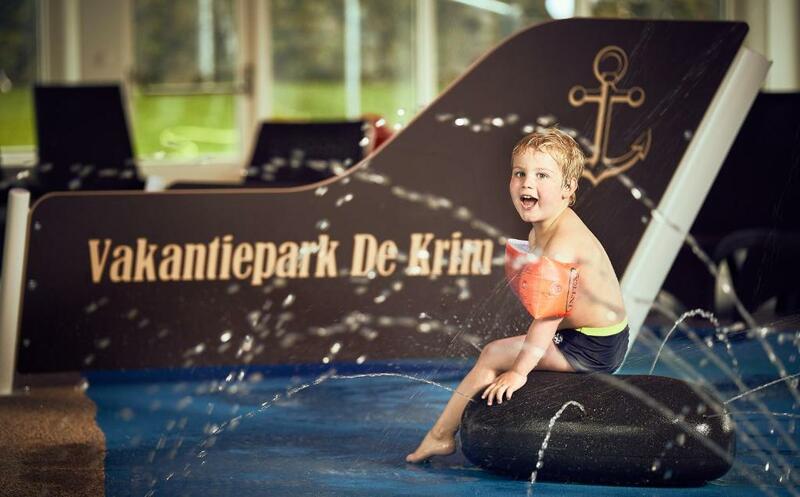 Vakantiepark De Krim offers a wide choice for your stay: luxury holiday homes & bungalows, chalets, hotel chalets, country houses and a 5-star campsite! 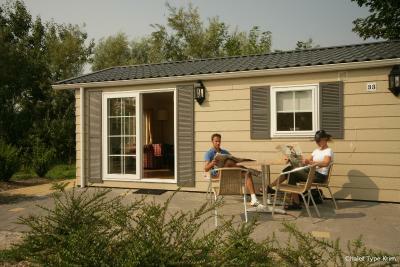 House Rules Vakantiepark De Krim Texel takes special requests – add in the next step! 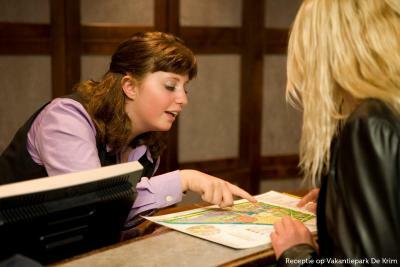 ATM card Vakantiepark De Krim Texel accepts these cards and reserves the right to temporarily hold an amount prior to arrival. 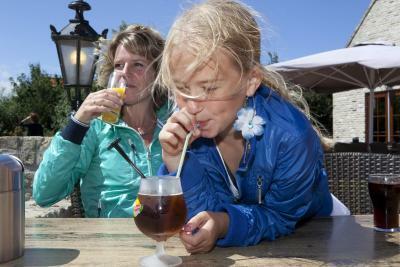 Vakantiepark De Krim Texel accepts these cards and reserves the right to temporarily hold an amount prior to arrival. Please note that for reservation of more than 3 bungalows, different policies and additional supplements may apply. 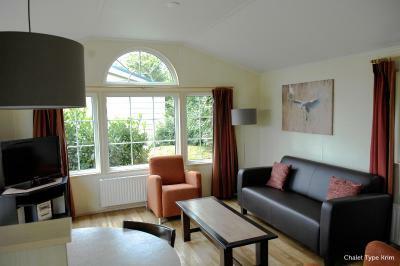 Pets are only allowed upon request and can not be accommodated in the hotel chalets. 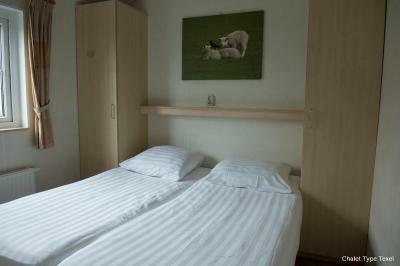 The costs are EUR 15.75 per stay. Payment is made in two installments of 50% where the first installment has to be paid within 14 days of receipt of the confirmation. The second installment must be paid at the latest six weeks before arrival. Upon arrival within 6 weeks after reservation, the entire amount in one period should be paid within 14 days after reservation. Upon arrival within 14 days after reservation must be paid via I-deal or upon arrival. 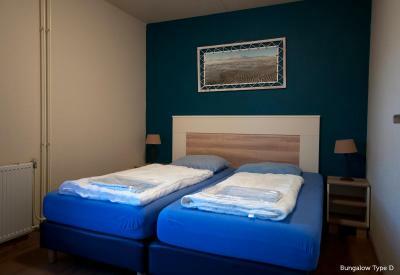 Please note that it is not possible to place an extra bed in the chalets. When guests want to place a baby cot in the room, this will replace a normal bed. The beds are not comfortable, we had to pay extra for sheets there were not towels , the heating was off and my baby and toodler walked up at 6 am so no Holliday. We smelled something burning and it turned out the lightbulb in the bedroom was situated in such a way it was slowly burning the curtains. This is extremely dangerous and should not happen. The heating system in the chalet was always lowering the temperature which made it very cold in the morning. the bed was made up of 2 beds. 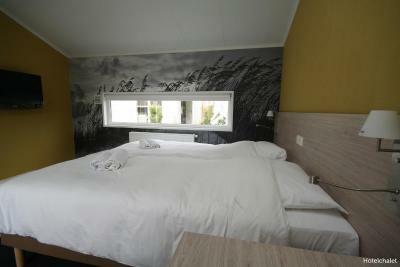 We choose Texel to celebrate our 1 jaar anniversary of marriage and it was not comfortable to sleep together at all. I also contact hotel for better bed but it doesn’t work. There was a big hole between me and my husband. The plastic smell in the chalet was uncomfortable and only bearable with constant fresh air, resulting in numerous mosquitos in the night. I was surprised that the house was so expensive but I guess that included having the amenities such as the indoor pool, bike rental, and grocery store on property. It was unbelievable that we needed to pay for bathroom towels. My first such experience in Europe in last 20 years. We would have liked a dining table with chairs inside, instead of the lounge chairs. Would have been easier to eat. Supermarket was quite overpriced. You have to pay for the bedlinen but it’s not possible to bring your own. Bring also your own towels unless you want to pay from them. The bungalow was well equipped but all the consumer stuff like toilet paper and soap you must bring yourself. 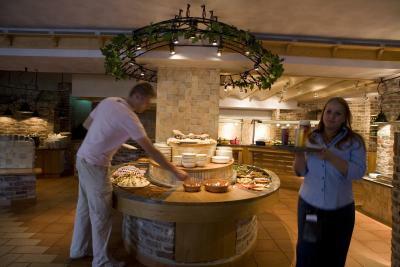 Upon departure guests are expected to do the dishes but the isn’t any dishbrush or liquid for that. There isn’t any detergent for the dishwasher either. Kids enjoyed the swimming pool a lot! Our boys already want to return! De Krim was set up perfectly for young families. Beds could be a bit longer, my husband who is 1,95m was struggling to keep himself on the bed.